If you have reached a place in your life where you are unable to function at the level you desire and/or are finding one or countless obstacles in your path to leading a fully realized, content and enjoyable life; then exploring psychotherapy is a step in the right direction. Working individually with a therapist moves you away from those places that are detrimental to you and toward a way of being that feels right for you. Reach out because the first step is the only one you will have to take alone. Sometimes we just can't figure everything out by ourselves and we may need help understanding why we make certain choices, either in the moment or over time repeating something that doesn't work. Our emotional responses as well as our reasoning and logic may not lead us to a place that serves our greater desire for peace and happiness. 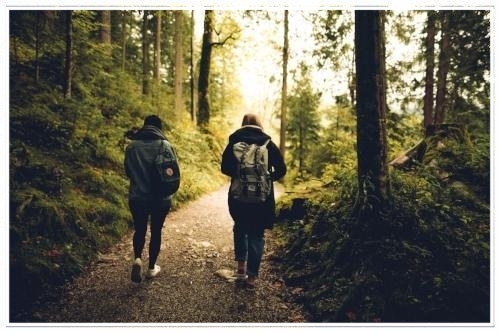 Psychotherapy is like a hike in the woods with unknown places to discover, uphill challenges, some difficult obstacles and places to rest and think. We go at a pace that feels right for you. This is the place where you can talk about what bothers you, about the issues you feel you have. I create a safe and confidential environment where you can feel free to share your feelings, thoughts, perceptions and behaviors that are causing the confusion, depression and anxiety you may feel at times because you are not able to cope effectively. We will just sit down and take some time to figure things out. You deserve to give yourself a chance to get in touch with what you need. Investing in your mental and emotional well-being is a lucrative investment. No issue is too big or too small. Psychotherapy adds depth and understanding with clarity. You can start to organize your life in a healthy way and find out how to bring your healthier wants and desires to life, if you are willing to take the opportunity in front of you. Trauma may be the underlying reason for how you may be responding in your relationships with various people. I can help you learn how to take good care of yourself, set needed boundaries that keep you safe, and move away from harmful or hurtful behaviors that you experience in yourself or others.